The thoughts contained in this book were from the pen of one who, in the silence of the Charterhouse, had already arrived at the summits of the spiritual heights, and dwelt there unceasingly. Souls who have reached such perfection in this life are rare; not so rare, however, are those who ardently aspire thereto. It is chiefly for such as these - to encourage and help them to arrive at those same heights - that these thoughts have been preserved and collected. 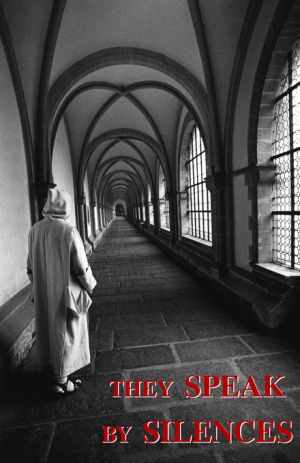 They Speak by Silences was first published in French in 1948, and has since allowed Carthusian wisdom and spirituality to reach the widest possible audience. This new, and widely requested edition carries on the tradition. It will provide material for daily reading and reflection for newcomers to Carthusian spirituality and, equally, for those who have already discovered the riches it has to offer. Not everyone can experience that same recollection that exists in a Charterhouse, but they must not be afraid to set aside as far as possible at least some moments, however short, for recollection and to give some time to Him Who is within them. It is in that silence that He speaks to us, and bids us listen to Him. Other books of classic Carthusian spirituality published by Gracewing include The Call of Silent Love, The Prayer of Love and Silence and The Wound of Love. They Speak by Silences by A. Carthusian was published by Gracewing Publishing in March 2006 and is our 50696th best seller. The ISBN for They Speak by Silences is 9780852446720. Be the first to review They Speak by Silences! Got a question? No problem! Just click here to ask us about They Speak by Silences.